Recently the British members of parliament were debating Prime Minister Theresa May’s 585-page Brexit draft withdrawal agreement, only for May to postpone the culminating vote in fear of dismissal. Although it was approved at a special EU Brexit summit in Brussels last month, Shadow Brexit secretary Sir Keir Starmer had pressured the leadership, saying if the deal is rejected Labour will table a no-confidence motion in an attempt to force a general election. And so, as May heads back to the EU to renegotiate her deal, the Brexit saga of uncertainty continues. 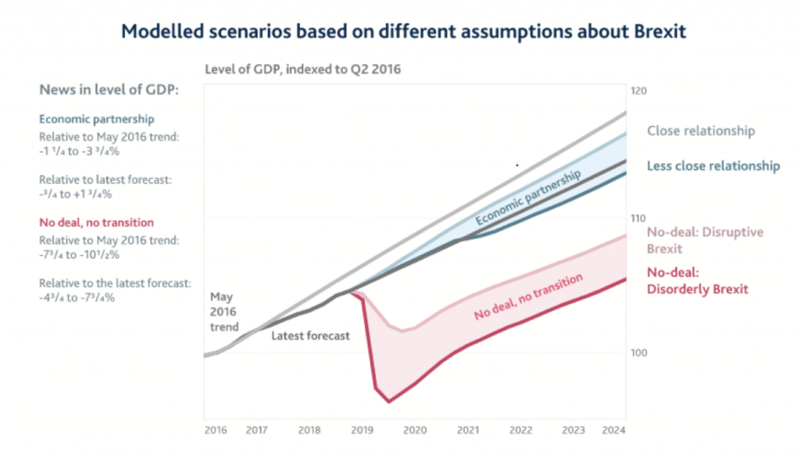 The wide range of possible outcomes includes a second referendum, a new government, various styles of hard and soft deals and the economic disorders of a no-deal Brexit. While no single outcome can be assured with any real likelihood, the only thing set in stone is that Britain has a fast-approaching May 29 deadline to make some big decisions. The trade impacts of a no-deal Brexit are widespread. For instance, 92 per cent of Welsh lamb is sold to EU nations with a 0 per cent tariff under the agreement. Most Welsh farmers currently receive about £250 million a year in direct payments from the EU’s Common Agricultural Policy.In the absence of a deal, British-EU trade will revert to WTO baseline levels, including particularly tough 40 per cent tariffs on agriculture. Demand for Welsh lamb is not so inelastic that European buyers cannot find cheaper alternatives, effectively ending many farmers’ businesses. This then begs the question – what is made in the UK that cannot be made cheaper somewhere else? As such, the Bank of England’s November Inflation Report confirmed that domestic and export demand were considerably less likely to drive capital expenditure over the next twelve months than a year ago. 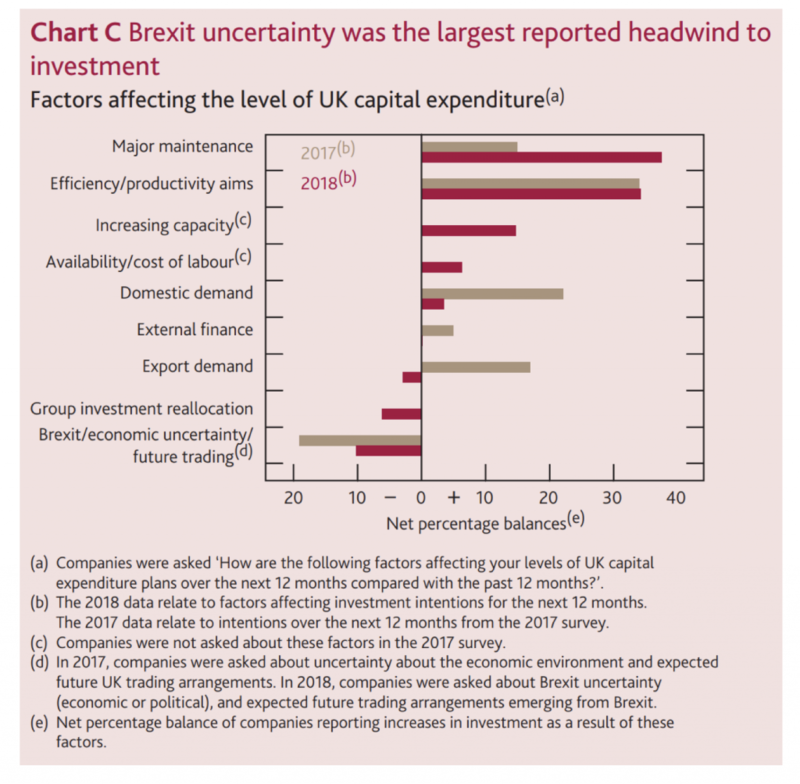 The survey confirmed Brexit uncertainty is the biggest headwind to companies’ investment targets, with a net balance for this factor of around -10 per cent. Clearly Brexit uncertainty appears to have both risen recently and to have weighed on investment decisions by more than had been expected. Investment growth in the UK has decelerated to 0 per cent in recent quarters, having remained strong initially following the Brexit vote. The Bank’s records confirm investment intentions for both the Manufacturing and Services sectors have pulled back in Q3. 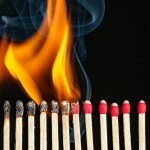 Longer-term doubt is taking hold over company decision makers. Sentiment towards the long-term impact of Brexit in Deloitte’s CFO Survey turned increasingly negative with the Q3 edition. 79 per cent of respondents expect the UK business environment to be somewhat worse as a result of Brexit, and only 6 per cent anticipate a better long-term outcome. The Bank’s Decision Maker Panel Survey results indicate that Brexit’s importance as the top source of uncertainty is at twice its steady two-year average. 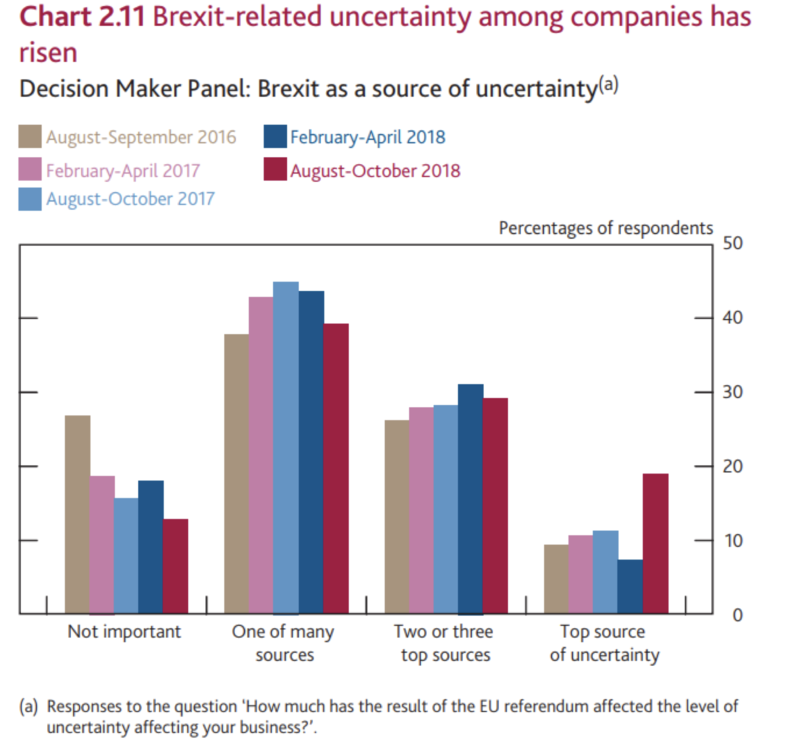 Almost 50 per cent of companies surveyed listed it as a top 3 source of uncertainty, while the proportion who do not believe Brexit is important to them fell to about 12 per cent. With or without a deal, Brexit officially comes into play on March 29 of 2019, following which the UK can begin fully fledged trade talks with the EU during the minimum 21-month transition period. Throughout the transition, the UK maintains its previous EU trade position to allow citizens and businesses to prepare for change and smooth out the process. However, the UK will cede its position in EU parliament, on the European Commission and in the Court of Justice, removing any ability to make or amend the rules and regulations it is operating under. Following national uncertainty, at a time when the government will need to broadcast that it is taking back control, it will be relinquishing control for almost two years. Naturally, the ongoing and increasing nature of this uncertainty has caused pent-up demand in the British economy. 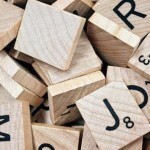 Assuming the likelihood of May’s deal failing to be approved, a catalyst for release of such demand appears to be May 29, beginning the 21-months of relative stability as deals are more liberally discussed. As uncertainty has caused trade and investment headwinds, the range of potential outcomes skew to the positive as time passes and realities materialise. An extension, a trade deal or migration by the UK into the customs union with some ongoing regulatory alignment should be more than enough to unlock some of this pent-up demand. Furthermore, with a no-deal Brexit the prevailing sentiment in the UK, the possibility of May’s withdrawal agreement being approved represents a chance at a material medium-term upswing for the economy. 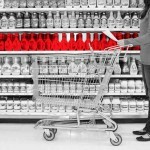 Analysts at Redburn have called this outcome a “significant growth dividend” to be reflected in general economic improvements and prospective fiscal stimulus. Redburn’s assessment shows that investment demand unwinding, combined with corporate fiscal incentives, strengthening real wage growth and smaller imbalances, points to a faster growing economy in 2019. In contrast, the Bank of England’s model shows a disruptive or disorderly Brexit causing a serious deterioration to GDP levels. Evidently, the House of Commons’ decisions over the upcoming months carry significant weight for everyone from Theresa May to Welsh sheep farmers to global investors such as us at Montgomery. Will Baby Bunting be able to withstand Amazon?